Constipation – The fiber in pumpkin will help “get things moving” if your kitty is a bit backed up. 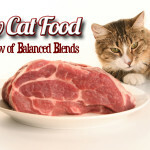 It will clear out the gastrointestinal tract and help your cat get back on track! Diarrhea – Even though this is pretty much the opposite of constipation, fiber is also excellent at absorbing extra moisture and can help get rid of the “runs”. 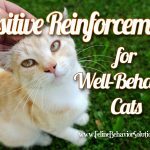 Weight Loss – If you’re trying to help your cat shed a little weight, you can substitute some pumpkin for food in his diet to help him feel a bit more full without the added calories. You’ll definitely want to talk with your vet about how much food you can substitute with pumpkin, or before starting him on any reduced calorie diet, just to make sure he stays healthy, as cats can develop a dangerous liver condition if they lose weight too rapidly! 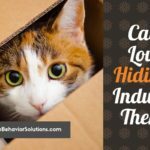 If your cat experiences constipation or diarrhea, you may have occasional “outside the box” issues. 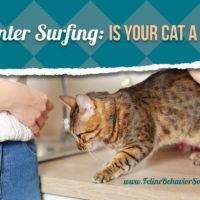 Both of these conditions result in a loss of control for your cat, so he may end up “going” when and where the urge strikes him; unfortunately, this can be outside of the litterbox. 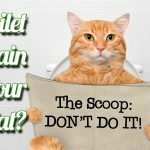 These conditions can also be painful, and your kitty does not have the instinct to sit in his litterbox to wait until his bowels are ready to move. 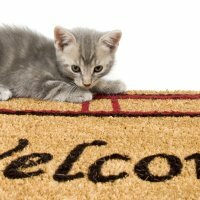 So try to understand where your cat is coming from – he doesn’t want to go outside of the litterbox! 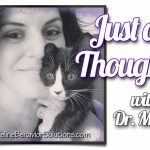 Several of my cat behavior clients have had this issue (or, rather, their cats have had this issue, not the people themselves…or they may have…not something we discuss, really…) and I’ve recommended that they try pumpkin in their kitty’s diets to see if that helps. And because I’ve given this information somewhat frequently to my own clients, I thought it might be useful to you, too! 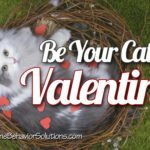 If you decide to help treat your cat’s constipation or diarrhea by adding pumpkin to his diet, you should see improvements within a few hours to 1-2 days. Most cats will enjoy a bit of pumpkin mixed in with their wet food, or all by itself. You’ll want to buy the pure, cooked, pureed canned pumpkin (NOT pumpkin pie filling with sugar and spice and everything nice) and start your cat on it by adding 1/2 teaspoon to your cat’s wet food once per day to see how he does. You can gradually increase the amount of pumpkin to a total of 1 tablespoon per day, divided between meals. To keep pumpkin from spoiling, you can freeze it in ice cube or muffin trays and thaw it when necessary, or even give it as a frozen snack! Pumpkin, in limited quantities, can be added to your kitty’s meals on a regular basis. So is pumpkin good for cats? Yes! However, if your cat continues to experience diarrhea or constipation after trying pumpkin with no improvement, you’ll need to consult your veterinarian to make sure your kitty is healthy. You shouldn’t rely on pumpkin alone to “cure” your cat, although it is a supplement that can help short-term, minor digestive upsets. 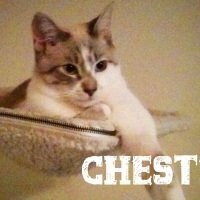 As usual, always ask your vet if you have any questions or concerns about your cat’s health and dietary needs. Does your cat like eating pumpkin? Let me know in a comment below! Pumpkin could be very useful to cats, seriously didn’t knew this. 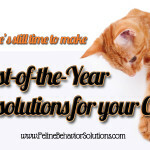 Cat often suffers with constipation and diarrhea, as they sometimes goes on heavy diet. This could be one of the great remedy for curing our cats. Really interesting. 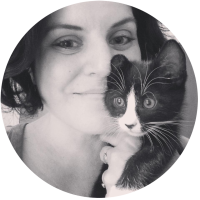 My feline friends would only be able to have a tiny amount or it would be a bit much for them. Pumpkin seeds are supposed to act as a verified on humans. I wonder if they would work like this on cats or dogs.. This is great, I didn’t knew this. Thanks for sharing this . HI! My cat loves pumpkin! He has digestive issues and he’s picky..I bought the organic pumpkin at trader joes in a can for$ 1.99. However once I froze the leftovers since I only feed him two tablespoons a day as a treat, the texture changed it was watery and he wouldn’t eat it. So now I buy the small packages of Weruva Pumpkin patch occasionally.